Born into a family of professional musicians, my contacts with the violin world began with my studies as a professional cellist in Madrid, Amsterdam and London. As a member of the Cadaques Orchestra and several chamber groups, I have made numerous recordings and concerts all over the world. Fascinated since childhood by the beauty of stringed instruments, in 1999 I began my training in traditional Spanish guitar making in Madrid with Antonio Gonzalez Cardenal. After completing three years of studies and wishing to concentrate more on instruments in the violin family, I became an apprentice at the workshop of Colin G Nicholls in London. Since then I have gained a broad range of experience and absorbed many influences, in particular through the close collaboration with my very good friend, the luthier Pablo Rosales Gross. In 2004, I finally decided to establish my own business, Lutheria Tarapiella S.L., based in the wonderful location of San Lorenzo de El Escorial, near Madrid, and focusing mainly on the repair, restoration and buying and selling of old string instruments. I have written short articles on Spanish instruments for The Strad and Tarisio. From the very beginning, one of my great ambitions has been to restore and preserve the national musical heritage of my country. As a result of years of research and the economic support of a sympathetic group of investors, I have built up the Tarapiella-Pamies collection, which is considered one of the most important collections of eighteenth-century Spanish stringed instruments in the world. These instruments, of unsurpassed quality, are currently played by some of the most highly regarded musicians in Spain. 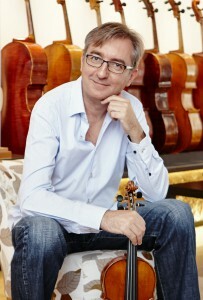 Having worked as a musician in several orchestras in the Netherlands and Spain, in 1990 I decided to focus my career on arts management and production, with my main goal being the creation of music projects that would not be excluded from the echelons of excellence and that would be structured in such a way that they could be competitive in the international market. My interest in the dissemination of music led me to found the publishing company and record label Tritó Edicions in 1991, of which I am the director and which boasts several national music awards. As an editor I have closed agreements with Eresbil, the Provincial Council of Bizkaia, the Provincial Council of Girona, the Valencia Institute of Music, the Fundación Siglo XXI in Valladolid and the Government of Andalusia, among many other institutions. Particular mention should be made of the task of recovering the forgotten Spanish musical heritage of the eighteenth to twentieth centuries, with the publication to date of over a thousand works. Since 2001 I have been President of the Spanish Association of Publishers of Symphonic Music. As a private publishing company Tritó has been able to expand thanks to the agreements reached with the aforesaid institutions, the growth of foreign sales (publishing unknown and forgotten music), the digitalisation of the repertoire and access to new technologies available on its website, and also the support of private sponsors. When asked how I got into this business specialization, to people’s astonishment I answer “because of our dog“. Once upon a time our dog found a mate. She was called “Amati” and they had more puppies together than Stradivari and Guarneri had children. visual documentation of music and in particular, portraits of instruments, bows and musicians. and in time want to host an exhibition of my work. My job means I travel the world with mid-format, high-resolution camera equipment rather than with my beloved girlfriend and our two lovely little daughters. So I am always happy to return home to my family in Cologne. My first experience as an instrument maker was as an apprentice to the Breton harp-maker Gildas Jaffrenou. From his workshop I went on to Newark Technical College, where I initially studied general musical instrument repair in 1975. The following year I transferred to the Violin Making School, then under the direction of its founder and director Maurice Bouette, and studied with Glen Collins and Wilfred Saunders. After graduating from the school in 1979, I began work at J. & A. Beare in London, where I stayed for thirteen years learning the art of restoration, adjustment and instrument recognition, happily surrounded by some of the profession’s best craftspeople and experts, not to mention the greatest instruments imaginable. Wanting to devote more time to instrument making, I left this idyllic situation in 1991 to establish my own workshop in Twickenham, where I have been ever since. My independent career has been a mixture of new making, restoration, writing and research. My new instruments are in use by professional players both in the U.K. and abroad, and I have carried out major restorations for collectors and institutions worldwide. I have been technical editor of and a regular contributor to ‘The Strad’ magazine for many years, with the aim of spreading the information about the violin and its makers which was so hard to obtain during my own training. This has led to several publications on the violin, its history, and famous makers. As a consultant, I work for the eminent London Dealer Peter Biddulph, and Sotheby’s, Christie’s, and Brompton’s Auction houses. In 1994 I worked closely with Peter Biddulph in the staging of the Exhibition ‘The masterpieces of Giuseppe Guarneri del Gesu’ at the Metropolitan Museum, New York, and the vast amount of new research and material gathered there has informed my own work ever since. Over the last twenty years I have lectured at many international violin conferences, and been invited to act as a craftsmanship judge at violin making competitions in England, America and Poland. I have also taught both violin making and restoration at workshops in West Dean in the U.K., and in Oberlin in Ohio, U.S.A.
Christophe Landon was born in Fontainebleau, France, in 1959. He began making violins at the age of fifteen during the summer holidays, under Jean Eulry at Apparut & Hilaire in Mirecourt, while studying to finish a mathematics baccalaureate. At the age of eighteen he started a second full-time apprenticeship under Jean Jacques Pages in Mirecourt, which he completed in 1980. Then, from 1980 to 1984, he worked as a restorer and bow maker for Max Moeller & Son in Amsterdam, towards the end combining this activity with bow making studies under Stephan Tomachot in Montmartre, Paris. 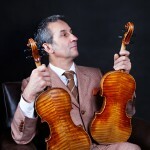 In 1983 he won a gold medal at the Kassel competition for the sound of his asymmetrical viola. In March 1984 he moved to New York to work with Jacques Francais in Rene Morel’s workshop. He went on to work for James Warren in Chicago during most of 1986 and in 1987 he set up his own business as a violin and bow maker, restorer, dealer and specialist. His instruments are played by soloists such as Mikhail Simonyan and the principals in many orchestras (the Berlin Philharmonie, Metropolitan Opera and Cincinatti Symphony, for example). He has contributed articles about the Turin school and the Spanish makers, among others, to the Strad magazine and other specialist reviews. He divides his time between making instruments, writing certificates and supervising his five shops in Paris, Berlin, Seoul, Shanghai and New York. Peter Ratcliff trained as a Luthier in London, graduating with distinction in 1983. In the late 1990s, not long after launching his own workshop, he became increasingly aware of the importance of dendrochronology in the context of instrument appraisals. He soon started accumulating tree-ring measurements collected from virtually all instruments passing through his workshop. With the help of colleague John Topham, he designed and developed his own precision measuring system. With the help of a talented software developer and over a period of 4 years, he devised, created and gradually improved dedicated statistical cross-dating software, as well as an on-screen measuring software module. While accumulating hundreds of tree-ring patterns from instruments and witnessing the wealth of information contained in the rings, the already keen interest he had in dendrochronology grew further to become the main focus of his work. After 10 years gathering and testing data for research and personal use, he began offering a dendrochronological testing service to players, dealers and institutions. The constant improvement of digital images, both photographic and scanned, now enables him to work at a distance, forgoing the need for a physical inspection of the actual instrument. His early dendrochronological projects have included the study of a large collection of early guitars, and research on some instruments in the Shrine to Music in Vermillion, South Dakota. More recent work, has involved the testing of most of Andrea Amati’s known instruments, the study of a selection of early stringed instruments for Cité de la Musique in Paris, and instruments in Scrollavezza & Zanre’s book on Giovanni Battista Guadagnini. 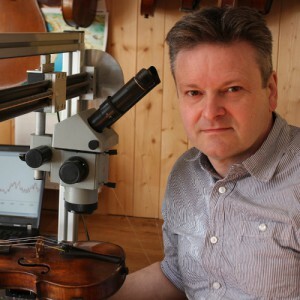 Peter is a consultant in dendrochronological matters for several major specialist Musical instrument auction houses, and instrument dealers throughout the world regularly call on his growing expertise in the field. Varnish expert Brigitte Brandmair is an internationally active certified conservator of musical instruments. She holds a degree in applied sciences from the Cologne Institute of Conservation Sciences. She graduated in the conservation, analysis and documentation of antique instruments, with the focus on classical Italian string instruments. In addition to her scientific expertise, she also holds a higher diploma in plucked instrument construction and has completed a carpenter’s apprenticeship, skills that enable her to take a comprehensive approach to the scientific aspects of musical instruments. 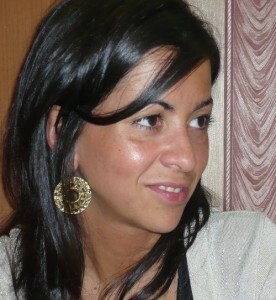 She is currently involved in several international research projects. 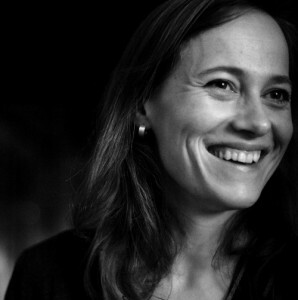 Brigitte is one of the two authors of the standards setting publication Stradivari Varnish and is currently director of scientific research at the French Bow Research Institute. She graduated in law from the University of Deusto and studied music (piano and harpsichord) at the Royal Conservatory of Madrid. She later specialized in organology and musical iconography. Her research focuses on the study of the heritage of Spanish instruments and their constructors. Her work at the Documentation Centre of Music and Dance in Madrid resulted in the creation of a catalogue of the musical instruments belonging to the collections in that city, and she worked on the project to catalogue the sources of Spanish musical iconography. 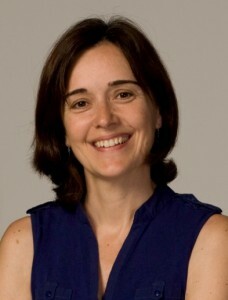 She was also a member of the team responsible for cataloguing the instruments held at Barcelona Museum of Music (1989). She has collaborated on the organisation of several exhibitions: Instruments de Musique Espagnols du XVIe au XIXe siècle (Brussels, 1985) and Las Edades del Hombre, la música en la Iglesia en Castilla y León (Leon, 1991), among others, and was director of The Spanish Guitar / La guitarra española (New York and Madrid, 1991-92). She is a member of various musical institutions, collaborates on outreach projects and research, and teaches at the Complutense University of Madrid. Elsa Fonseca is an advanced violin teacher and holds a BA in music history and science. During her period of music training she took numerous courses in the fields of performance and musicology and is currently completing a thesis on string instruments at the Madrid court during the 18th century, under the supervision of Cristina Bordas. She has been a permanent state teacher with the Spanish Ministry of Education since 2006 and she is an associate lecturer in the department of the didactics of musical expression at the University of Salamanca. In the field of historical music practice she has taken classes with Angel San Pedro, Pedro Gandía, Enrico Gatti and Mira Glodeanu; and collaborated with the Baroque Orchestra of the University of Salamanca on different projects and in concerts led by Pedro Gandía, Jacques Ogg, Wieland Kuijken, Andrea Marcon and Federico Maria Sardelli in the 2007-2011 seasons. In the field of musicological research her studies focus on the history of violin playing and the organology of bowed instruments during the eighteenth century, having participated at numerous forums and conferences. Furthermore, she is the author of several publications about bowed instruments issued by the Royal Conservatory of Music of Madrid. Musicologist and maker of string instruments by profession. 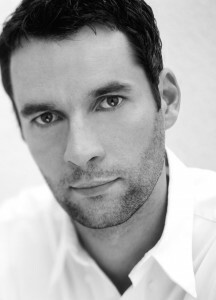 He studied oboe and traditional instruments and is a specialist in organology. In parallel with his musical training, he began working in the field of organological research almost twenty years ago with the study of aerophones from the Catalan-speaking territories. In 2001 he embarked on the construction of historical string instruments under masters such as Jaume Bosser and José Luis Romanillos and this led to work on the documentation and study of violin makers from the sixteenth to the twentieth centuries. Over one hundred and fifty antique instruments have passed through his hands and their analysis has resulted in articles, diagrams, contributions to monographic works, and so on. Having spent several years working at the Barcelona Music Museum, he is now fully dedicated to the construction and restoration of string instruments and their organological study. After graduating from the University of Barcelona (UB) with a degree in history and English language, she was employed at the Ibercamera Agency as an artist manager for several years. From there she moved on to work with the Tritó music publishing house and the Cadaqués Orchestra, with whom she has coordinated recording projects, publications and the organisation of concerts since 1991.